Your channel is a place where viewers can go and find something they want to watch now and later. 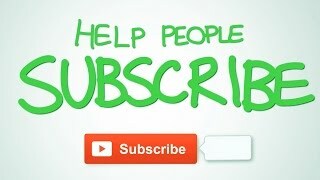 You will want your viewers to subscribe to your channel so they’ll come back and watch the content you’re uploading. You upload a video file from your computer or mobile device. You add descriptive details which can help people find your video. Before you click Publish, you’ll need to add some information like a title, description, and thumbnail. These details are called metadata and they contribute to discovery, so use words and images that provide an accurate and compelling glimpse of what viewers can expect. People watch it. The YouTube search and discovery algorithm works in the background to match viewers to the videos they’re most likely to watch and enjoy. A lot of factors go into this, such as what else the individual viewer has watched, hasn’t watched, liked, disliked, etc. Fans come back for more. When someone enjoys a video, they can subscribe to your channel and share it with their friends and family. Viewers can leave comments on your video and you can write back to them. Learn more about community engagement. Get tips from other YouTube creators. 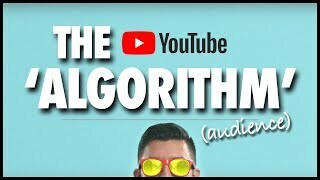 This series of videos explains how YouTube’s search and discovery algorithm works to deliver the right videos to the right viewers at the right time. 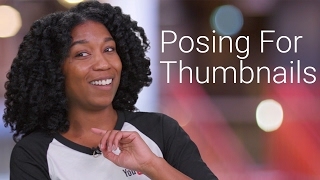 Learn tips for making effective titles and thumbnails. Watch time is how long viewers watch your content. As you upload more videos, you can look at different Watch Time reports in YouTube Analytics to understand how well different videos perform. Watch Time is important because YouTube may surface your content to more people based on their viewing patterns. Learn more. Subscribers are viewers who’ve indicated they want to see more of your content and click the Subscribe button on your channel. Subscribers are critical to your success on YouTube because they tend to spend more time watching your channel than viewers who aren’t subscribed—and if they have Notifications turned on, they’ll be alerted when you post something new. They can also view your newly published videos in their Subscriptions feed. Community refers to connecting with your audience on a deeper level. You can do this by interacting with viewers in the Comments section of videos, hosting live streams for your loyal fans, making videos requested by your community, or sharing extra content via the Community tab (in beta). Get more tips for growing your community. How do subscribers help your channel? Learn why subscribers can be the best way to increase views and watch time on your channel. Put it on the calendar. Adopt an upload schedule so your fans know when to tune in for new content. Consider communicating it in your channel trailer or reminding viewers in your videos. Learn more. Add sections and playlists. A playlist is an ordered list of videos that you create, often with a specific theme. A section is a way to organize groups of videos on your channel. See some examples. Make some money. Once your channel reaches certain requirements, you can apply to join the YouTube Partner Program to earn money from your videos. Get the details here. Get a snapshot of your channel. Check out the YouTube Dashboard for a quick look at channel stats and tips. Keep in mind that success usually doesn’t come overnight. Consider how you can build your channel by producing great content and engaging with your fans. Make great content based on data. Look at Comments and dive into YouTube Analytics. Encourage subscriptions. Include a call to action in your videos to invite subscribers. Promote yourself. Try sharing your YouTube videos on other social media. sWooZie and Cassandra Bankson share tips for reaching your first 100 subscribers. More Wong Fu stays active with bloopers, behind the scenes, and special features. 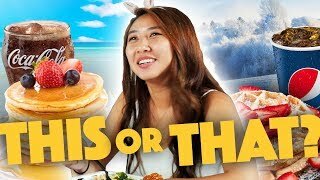 This channel uses sections and playlists to help viewers find their favorite shows. Who is watching your videos and where are they watching from? Check your YouTube Analytics, views report section. Determine where your current views and subscribers are coming from. What demographic is most popular? What are your traffic sources? What regions watch your videos the most? How much of your videos are viewers watching? Check your audience retention graphs. Are your viewers watching your videos all the way through or dropping off too early.